Recent release “Sunlight on Shadow: Memoir of a Forgotten Place and People” from Page Publishing author Zsofi Teleki is an eloquent, stirring recount of the beautiful, independent little country of Hungary before World War II, and the despondent, Soviet occupied Hungary of after—as told through the lives of three diverse families and the narrator, a “memory keeper” treasuring the moments of sunshine even as she and her family are forced into exile. Zsofi Teleki, a Hungarian immigrant now settled in the mountains of North Carolina, has completed her new book “Sunlight on Shadow: Memoir of a Forgotten Place and People”: a dramatic portrayal of Hungary and its people as they struggle to survive World War II and its aftermath. Published by New York City-based Page Publishing, Zsofi Teleki’s new book is at once charming, dignified, and intensely nostalgic, steeped in all the historical weight and emotion of a war novel. Reaching back before her time through the stories told by her parents, and facing an uncertain future as an adolescent immigrant in America, Teleki’s narrative enshrines her heritage and her family, keeping alive the Hungary of her memories.. 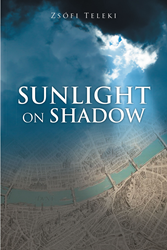 Readers who wish to experience this masterful work can purchase “Sunlight on Shadow: Memoir of a Forgotten Place and People” at bookstores everywhere, or online at the Apple iTunes store, Amazon, Google Play, or Barnes and Noble.